We have been attracted to magnets lately. Studying magnets and magnetism appeals to a wide range of age groups. Youngsters can start out exploring their environment with magnets; older children can investigate compasses and how motors work. High school students might research the Earth's magnetic field or how animals use internal magnetic compasses to navigate. Where do you find magnets? Often you can find magnets around the house, such as refrigerator magnets, magnetic letters, and even in wooden toy train sets. Toy stores sell magnetic building kits. Educational supply stores carry stand alone horseshoe magnets. Office supply stores sell magnets in different shapes, often brightly colored. It is relatively easy to find inexpensive ones. Neodymium are small, extra-powerful magnets. Because they are so small and so powerful, they can be hard to work with. Neodymium magnets can pinch small fingers and attach to certain surfaces so strongly that they are difficult to remove. These are definitely more appropriate for older, stronger, more mature children. Let the children free explore with magnets to test the materials provided, as well as any surfaces around the room or area. Try the walls, which may have metal support structures inside (especially around the windows). 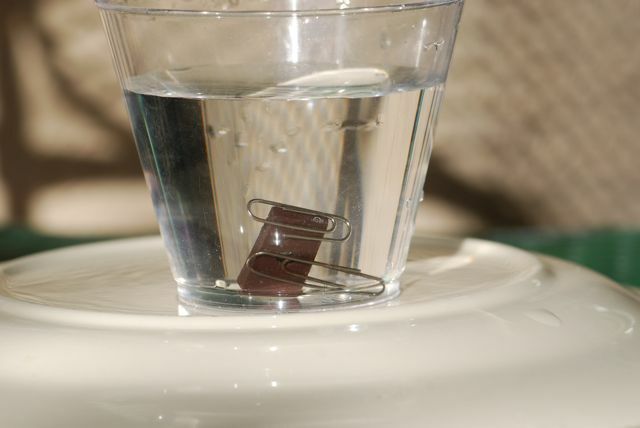 Once the children have found some waterproof items that are attracted to the magnet, like steel paper clips, add to the bowl of water or water in a sink. Ask if the magnets will work in water. If you use a clear plastic container, see if the magnets will work from the outside the container, too. Find out what happens if you try to put two magnets together. Can you feel the "push" or "pull" of the magnets? 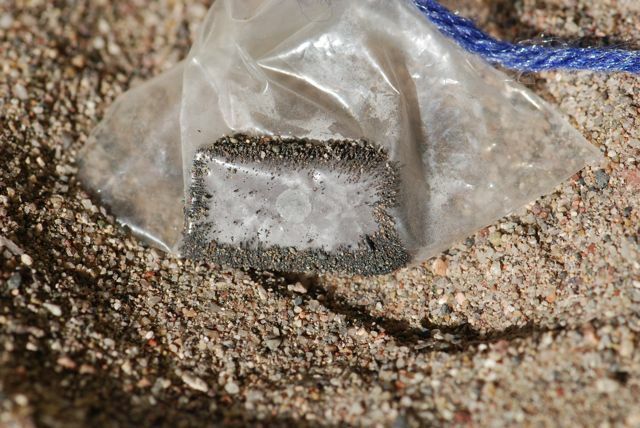 Sand often contains bits of iron. Cover a magnet with a plastic sandwich bag and tie shut with a sturdy piece of string. 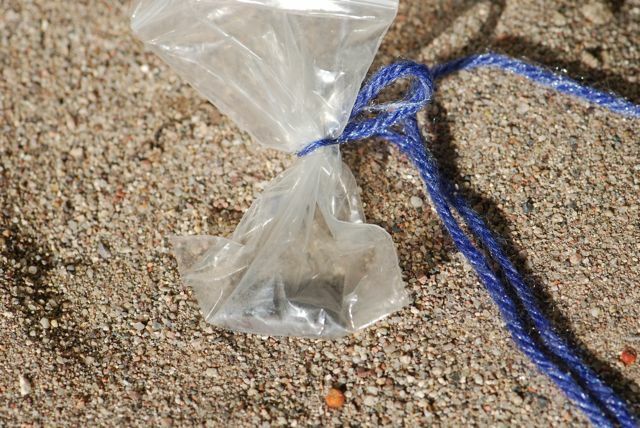 Leave enough string to allow the children to pull the magnet through the sand. Note: You can do this without the bag, but the bag makes clean up much easier. See the iron bits accumulate on the outside of the bag. This is after only a few passes through a small amount of sand. Do magnets work in space? Check this video to see. 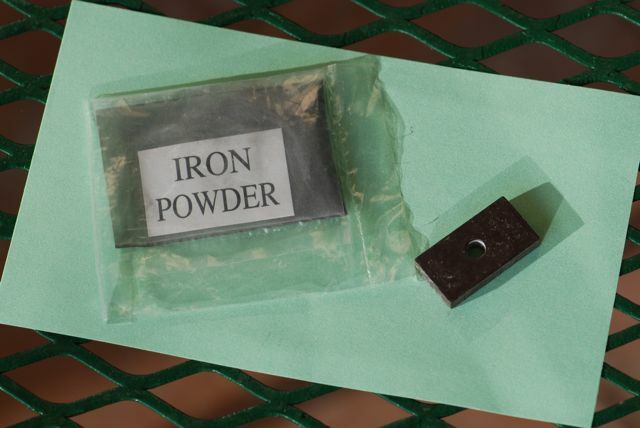 A classic experiment is to place a magnet under a piece of paper and sprinkle some iron powder on top. Our iron powder came in a science kit. 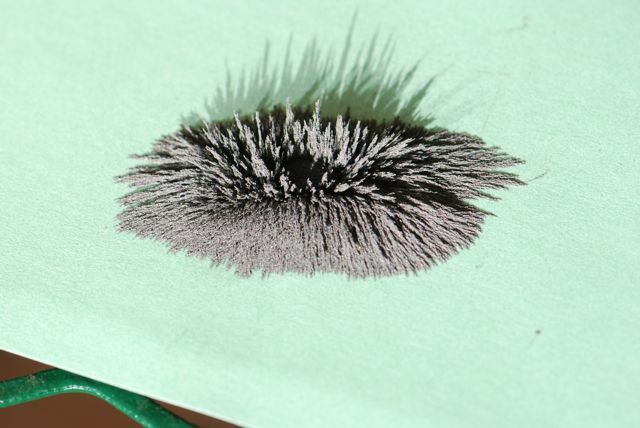 The idea is that the pieces of iron powder will arrange along the magnetic fields. The results show that the fields are three dimensional. It is fun to see the powder change shape as we moved the magnet around underneath. If you are careful, you can return the powder to its package to use again another day. 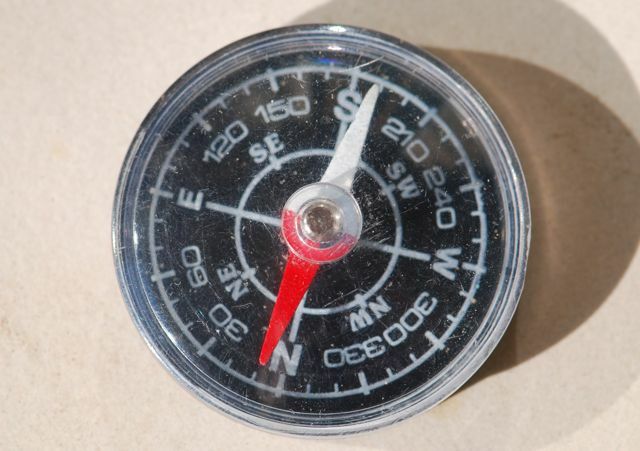 One way to learn more about magnetism is to use a compass. A compass is a small, lightweight magnet that pivots freely in a case. The magnet aligns with the Earth's magnetic field and can be used to find direction.